The federal government is taking comments for 30 days about whether China, Vietnam and Thailand should be listed in the Code of Federal Regulations (CFR) as eligible to export Siluriformes fish to the United States. USDA’s Food Safety and Inspection Service (FSIS) is asking for comments about its newly proposed rule to open the United State to catfish exports from the People’s Republic of China, the Socialist Republic of Vietnam, and Thailand. Siluriformes fish are being exported to the United States under the transitional period rules in effect during the past couple years since FSIS took over regulatory responsibility for both domestic and foreign catfish. China, Vietnam, and Thailand are among the top foreign catfish producers and each of the countries has regulatory systems for Siluriformes fish that FSIS finds equivalent to its own. The new rule would permit the three countries to export raw Siluriformes fish and fish products to the U.S. from certified establishments. Those shipments to the U.S. would be subject to re-inspection by FSIS inspectors at U.S. points-of-entry. U.S. imports of Siluriformes during the past five years have averaged $369.74 million. 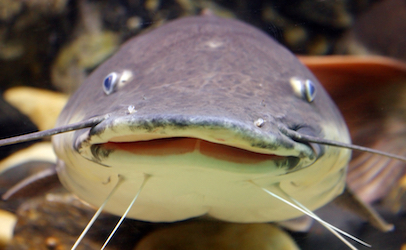 By comparison, domestic catfish production during the past five years averaged $367.60 million. Domestic catfish farmers say they’ve been harmed by foreign producers, especially China and Vietnam. In the two most recent Farm Bills, they persuaded Congress to move catfish inspections from FDA to FSIS. Domestic catfish farmers said the 1 percent 2 percent of seafood products that are subject to FDA is not enough for catfish. By far the largest exporter of catfish to the U.S. is Vietnam. The five-year average value of its exports to the United States is $334.71 million. FSIS began regulating catfish on Dec. 2, 2015, under a transition period that lasted 18months for both domestic and foreign producers. Foreign catfish exporters were required until Sept. 1, 2017, to submit documentation, and comply with Hazard Analysis and Critical Control Point (HACCP) requirements and FDA’s good manufacturing practices. Foreign counties who wanted to export catfish to the U.S. after Sept. 1, 2017, were required to submit equivalence documentation. FSIS has permitted the three counties to continue to export catfish to the U.S. while they went through the equivalence process. A final decision to make China, Vietnam and Thailand eligible to export raw Siluriformes fish to the U.S. will at the outset mean opening the American market to 30 foreign catfish processors. China expects 14 of its establishments will be eligible, Vietnam plans on 13, and Thailand expects three. Comments are being accepted until Oc.t 19. Comments must be received on or before Oct 19, 2018.